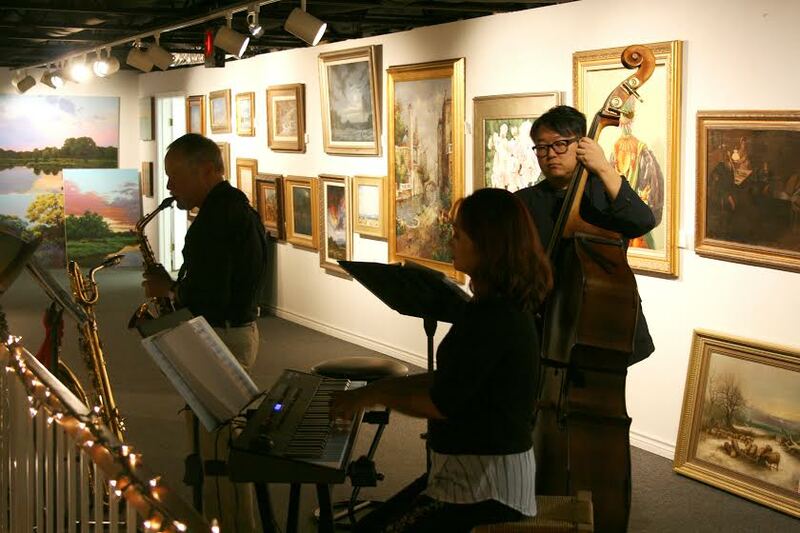 Our holiday open house this past weekend was definitely a night to remember! Our gallery is well known for our workshops and classes with our wonderful and talented instructors. This weekend was special because both students and instructors were able to display their artwork at our gallery! Our classes/workshops are all about learning new techniques and expanding horizons. Exhibiting instructors include Don Longo, Lou Ann Bower, Dawn Freeland, Bev Boren, Maribeth Jagger, and many more! We are proud of our unique community of teachers and students here at The Artists’ Showplace. This network we have established has become like family and we are excited about our upcoming workshop/class line up for next year! Our open house brings in artists, students, and art lovers! Our Gallery Student Exhibit is on display at the gallery! Jewelry artists' wonderful holiday/Christmas ornaments and glassware are on display. No special event is complete without the company of live music.